The country’s health-care industry heavyweights — including insurers, pharmacy middlemen, doctors and branded and generic drugmakers — have become simultaneous allies and enemies. That's because of two big ideas that have captured the attention of lawmakers and policymakers this year: combating the high cost of prescription drugs and achieving universal coverage through expanding Medicare. The first effort, undertaken by both Congress and the Trump administration, has pitted industry players against one another, as each participant in the drug supply pipeline tries to shift blame onto everyone else for why prescription medications are more expensive in the United States than anywhere else. But the second effort has actually brought a wide swath of the industry together -- to combat what it views as the growing threat of Medicare-for-all plans pushed by some Democrats. Those involved in the industry coalition (which I wrote about here) insist they’ve found it relatively easy to unite in opposition to a single idea — Medicare-for-all and other iterations of it — even as they’re fiercely battling on many other fronts. The partnership — formed over the summer by the leading associations for insurers, doctors and drugmakers and now comprised of more than two dozen groups — has been running ads exhorting Democrats to reject Medicare-for-all ideas and arguing that such a system would hurt access to vital health-care services. Yesterday, the group launched a six-figure ad buy targeting Democrats from Iowa and Pennsylvania. David Merritt, executive vice president of public affairs at insurers association America’s Health Insurance Plans, told me members of the group avoid discussing other policy issues that could divide them. 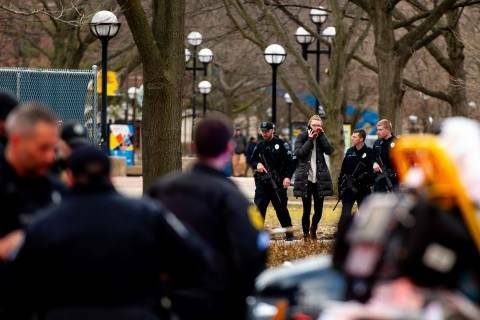 “We try and keep focused on the issue that has brought us together, so there’s no real debate or discussion about any of those other issues,” Merritt said. That’s crystal clear when it comes to drug costs. While the skyrocketing prices of prescription drugs is a top concern among voters and members of Congress from both parties, the increased attention has only augmented the blame games constantly played by pharmaceutical makers on one side and the insurers and pharmacy benefit managers who negotiate for them on the other side. Just look at the slew of regulations the Department of Health and Human Services says it's trying to move forward – potential new rules the agency has proposed over the past six months aimed at bringing more transparency to drug prices and reducing what the government pays for pharmaceuticals through the Medicare program. 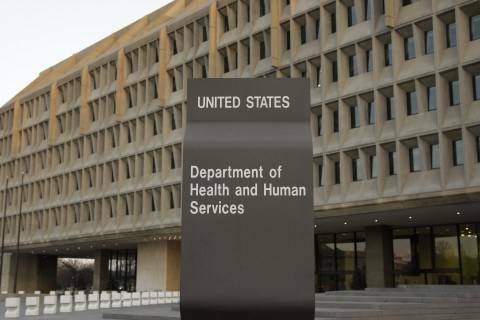 —The Pharmaceutical Research and Manufacturers of America has voiced deep disapproval of a new international index proposed by HHS that would reduce payments for Medicare drugs dispensed directly by doctors. The drugmakers association is also up in arms over separate proposals to require them to list drug prices in television ads (this rule could be released any day now) and to allow insurers to restrict coverage for certain classes of drugs considered crucial for seniors living with serious and complex health conditions. — America’s Health Insurance Plans – while applauding those crack downs on the pharmaceutical industry – have its own beef with the administration, which in January released a regulation that, if finalized, would essentially ban drug makers from paying big rebates to Medicare plans. These rebates are seen as one reason list prices are being pushed ever higher. The drug industry, on the other hand, thinks this is a great idea. Merritt told me the industry's partnership against Medicare-for-all has made him more hopeful they could work together on other issues as well. But that would require each player along the drug supply pipeline to assume some element of responsibility. When I pressed Merritt on the proposed ban on drug rebates, for example, he quickly responded with AHIP's arguments against it -- that it distracts from the real problem of drug makers setting high list prices to begin with. AHH: Health officials from the Centers for Disease Control and Prevention and the World Health Organization are dialing back travel warnings for pregnant women now that the Zika epidemic that was causing thousands of birth defects has mostly petered out. In 2016, WHO had designated the virus as a global health emergency, and health officials in the United States had advised pregnant women or women who may become pregnant to stay away from nearly 100 countries or regions. But last month, that warning was downgraded by the CDC, and our Post colleague Lena H. Sun reports WHO is planning to follow with a similar easing of travel warnings. Still, health officials say pregnant women or those who are thinking about getting pregnant should talk to their health-care providers about Zika risks before traveling. But there’s not always a clear way to get the best information. OOF: When doctors at a Pennsylvania pediatric practice were targeted online by anti-vaccine activists for a video reminding parents to get their kids vaccinated for human papillomavirus, the doctors helped turned that online attack into the first systematic research into how anti-vax activists coordinate harmful social media campaigns. New findings out this morning, based on data the practice shared with researchers at the University of Pittsburgh Center for Research on Media, Technology, “confirm previous research about those who are opposed or reluctant to vaccinate and the key arguments that resonate with them,” Lena reports. The attacks came from members of private anti-vaccine Facebook groups. The majority of the commenters were mothers. The report also found 56 percent of the commenter sample supports President Trump, while 11 percent expressed support for Sen. Bernie Sanders (I-Vt.). Many are vaccine-hesitant or opposed to vaccines. 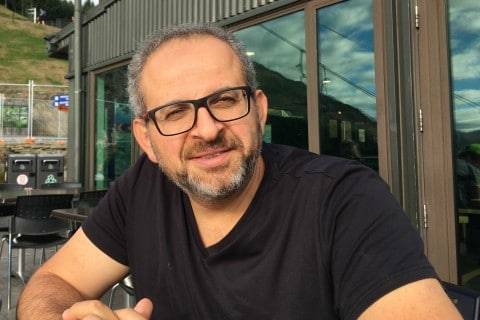 After posting a video on the practice’s Facebook page, doctors had received a barrage of 10,000 negative comments from about 800 commenters across the country and around the world, threatening the doctors or telling them they had been brainwashed. The new study was based on a random sample of 200 of the commenters and analysis of publicly available information on their Facebook pages over two years. “Among the anti-vaccine themes in the comments were a mistrust of the scientific community, concerns about personal liberty, perceived risks about vaccine safety and the belief that government and pharmaceutical companies are part of a conspiracy to hide information,” Lena writes. OUCH: State and national organizations have filed a lawsuit against the Trump administration to attempt to stop New Hampshire from implementing work requirements for Medicaid beneficiaries. The groups cite concerns that eligible individuals will end up losing coverage. The groups filed a lawsuit in the U.S. District Court for the District of Columbia asserting that the Centers for Medicare and Medicaid Services violated the Medicaid Act when it approved New Hampshire’s plan to mandate that beneficiaries work 100 hours a month to maintain coverage, as the Concord Monitor’s Ethan DeWitt reports. The lawsuit in New Hampshire follows two others in Kentucky and Arkansas that have sought to challenge Medicaid work requirements. — New CDC analysis found the synthetic and potent opioid fentanyl has led to increased rates of fatal drug overdoses across the country, with the sharpest spike among African Americans. There was on average a 141 percent increase in fentanyl-related drug overdoses among African Americans each year from 2011 to 2016, according to the data, our Post colleague Joel Achenbach reports. For Hispanics there was an increased rate of 118 percent every year on average during that time and a 61 percent on average increase for non-Hispanic whites. The report is the first from the CDC that particularly isolates the role of fentanyl in the broad opioid epidemic. — White House officials and several members of Congress earlier this month attended a “Make Families Great Again” conference at the Hungarian Embassy. Valerie Huber, a senior HHS adviser known for support of abstinence-only education, delivered the keynote address at the event, which promoted a seven-point “Family Protection Action Plan” from Prime Minister Viktor Orban that’s meant to promote marriage and families, as our colleague Ariana Eunjung Cha reports. 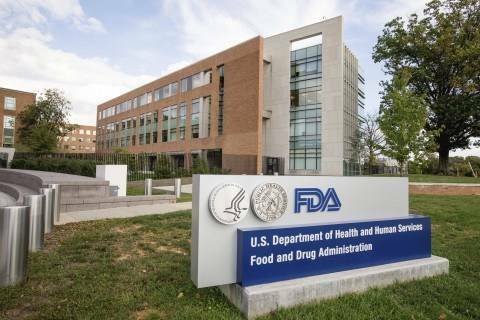 — Health and Human Services Secretary Alex Azar and FDA Commissioner Scott Gottlieb penned an op-ed in The Post calling on the e-cigarette industry to address what they call an “epidemic” of teen vaping. The pair panned proponents of the products who, they say, dismiss the growth of use among youths. They said the Trump administration has worked to bolster efforts to tame that increase. They said the FDA is planning to expand a public education campaign this summer to reach at-risk teens. The pair also stressed the agency’s focus on the issue will remain despite the departure of Gottlieb, who has made it a priority to address youth e-cigarette use. Gottlieb announced his resignation earlier this month. — In a radio interview this week, Kentucky’s Republican Gov. Matt Bevin said he purposefully exposed all nine of his kids to chickenpox and said he didn’t support the state’s mandatory chickenpox vaccine. “Chickenpox is less deadly in children than adults, but public health experts say it is still important to get vaccinated to prevent a small number of deaths every year and protect others with weaker immune systems,” as our Post colleague Eli Rosenberg reports, adding health experts warned that Bevin seemed misinformed. "I didn’t get a thank you. That’s okay. We sent him on the way. 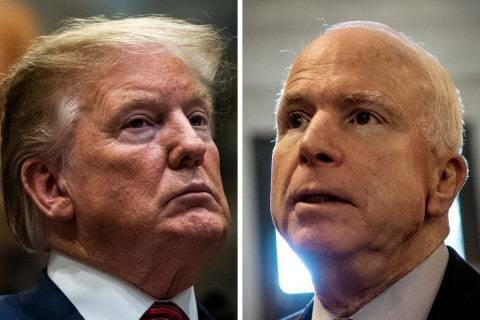 But I wasn’t a fan of John McCain,” Trump said at an event in Ohio, even as Republican senators rose to McCain's defense. Most of the 18,000 people who lost Medicaid coverage in Arkansas as a result of new work requirements have not found new jobs, according to an analysis of state data. 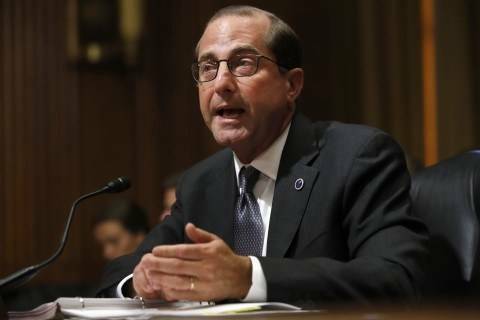 The Food and Drug Administration finalized two guidances to support drugmakers developing new versions of HIV antiretroviral medications, HHS Secretary Alex Azar said on Tuesday. In an age of massacres, false reports still traumatize people worried about becoming victims in the next attack. New construction and the websites that promote it aren’t yet open to everyone, it found. 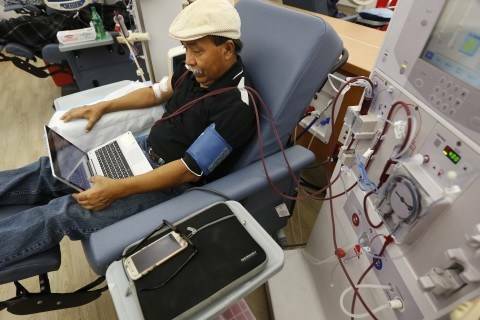 The California Legislature has revived an insurer-backed bill to cap dialysis pay at Medicare rates if industry-backed third parties have helped a patient pay for the insurance to fund treatment and don't give certain disclosures. 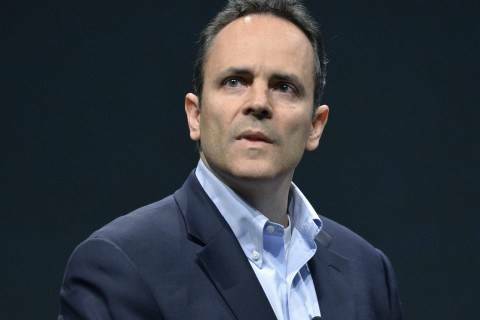 Kentucky’s Republican governor on Tuesday signed into law an anti-abortion measure already entangled in a federal lawsuit, instructing his lawyers to fight the legal challenge against the new restrictions on the procedure. The 2019 National HIV Prevention Conference in Atlanta, Ga. continues. The CATO institute holds an event on harm reduction. The Bipartisan Policy Center holds an event on overcoming health care challenges in immigrant communities. The Brookings Institution holds an event on emerging policy solutions to surprise medical bills on Friday.